Trainer Chris Munce has kept Grafton Cup favourite FIRST CRUSH on the fresh side as he looks to go one better than his recent second placings on the feature Cups circuit. 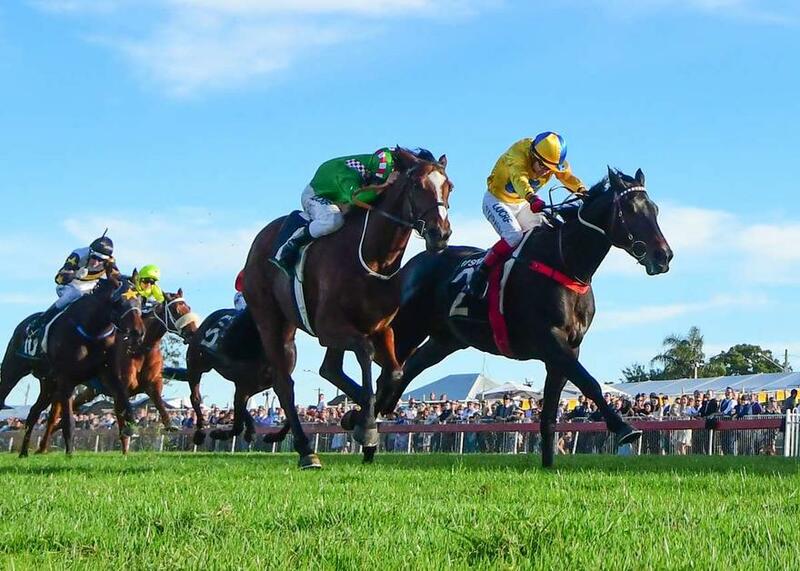 The brave stayer has emerged as the leading hope for tomorrow’s $160,000 Listed Grafton Cup (2350m) off the back of his feature race placings in the Listed Ipswich Cup (2150m) and the Listed Caloundra Cup (2400m) over the past month, which has netted over $70,000 for his connections Whitby Bloodstock and Mrs J Moses. Trainer Chris Munce said he had opted to keep the six-year-old gelding ticking over on the track since his brave second to MEGABLAST in the Caloundra Cup 12 days ago. "He’s had a couple of hard runs at Ipswich and Caloundra so I haven’t done a lot with him, kept him fresh and he’s a very fit and happy horse,” he said. "With the scratching of Sayed (Chris Waller), it certainly looks a nice race for him. "There looks to be only moderate speed so I’d like to see him travel just behind the leaders and from there, if he holds his form together, he’s certainly going to be one of the main players." The stable also has HELLAROO entered in the $40,000 Class 6 Showcase (1200m) following on from his midweek Metropolitan second at Doomben over 1200m behind EL SHADAY. "She certainly hasn’t gone backwards from her very good run the other day at Doomben when she finished second,” said Munce. "It’s a little bit of a tricky draw that (jockey) Ronnie (Stewart) has to overcome but I’d like to see him settle just behind the leaders and I know she’ll hit the line very strongly. "It is an open race but if she has any luck at all, she’s going to figure in the finish for sure."